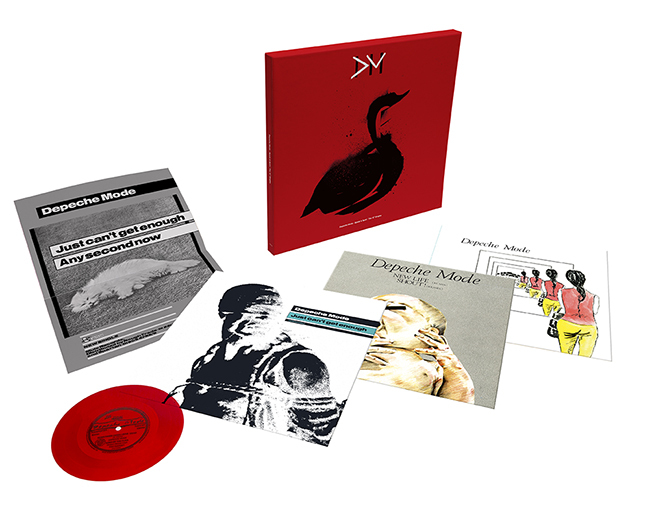 The Depeche Mode 12″ singles collectors’ edition box set series is launching with the release of ‘Speak & Spell | The 12″ Singles’ and ‘A Broken Frame | The 12″ Singles’ on August 31! 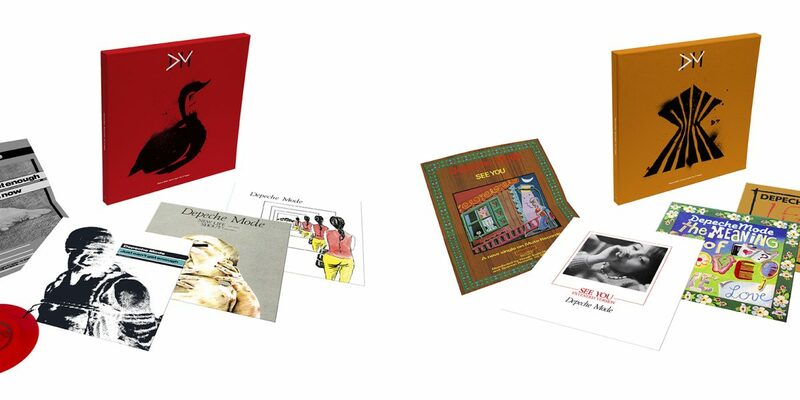 Remastered from original audio tapes and cut at the legendary Abbey Road studios, the vinyl singles are packaged in deluxe numbered box sets. 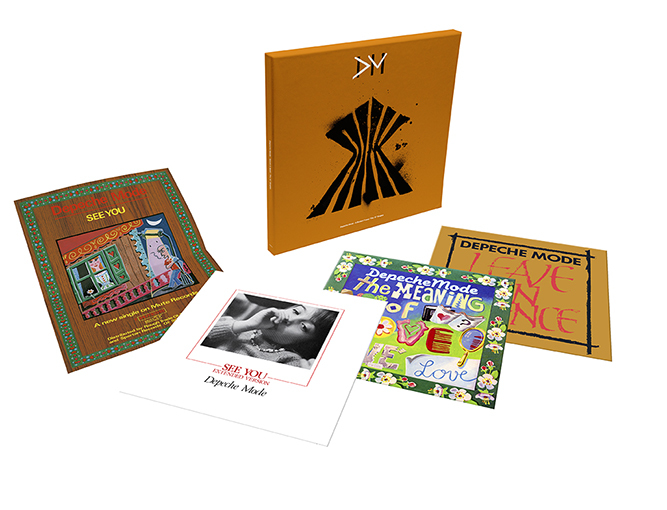 Each box set in the series will contain the singles from each Depeche Mode album on audiophile-quality 12″ vinyl, with audio remastered from the original tapes. The artwork for the exterior of each of the new box sets draws on street art iconography inspired by the original releases, while the vinyl sleeves themselves feature the original vinyl single artwork. 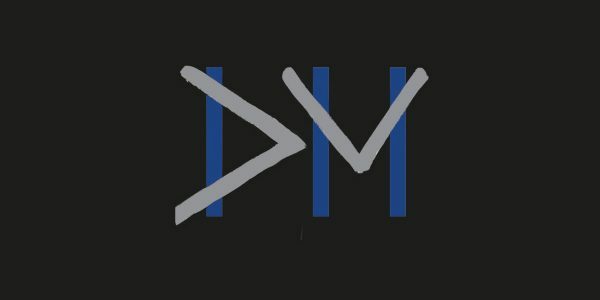 Received wisdom has it that Depeche Mode started out a bubblegum (synth) pop group, who blossomed into a gothically dark stadium act as they and their audience matured. While there’s some truth to this, simply presenting their romantic debut single ‘Dreaming Of Me’ as proof doesn’t tell the whole story. ‘Dreaming Of Me’ was Depeche Mode’s debut 7″ single proper in the UK. 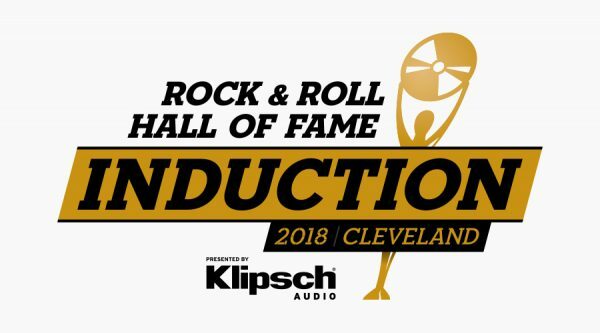 It set up many of the conventions of the group and although it didn’t storm to the top of the charts, the fact that it got to number 57 was greeted as an auspicious start by both band and label. 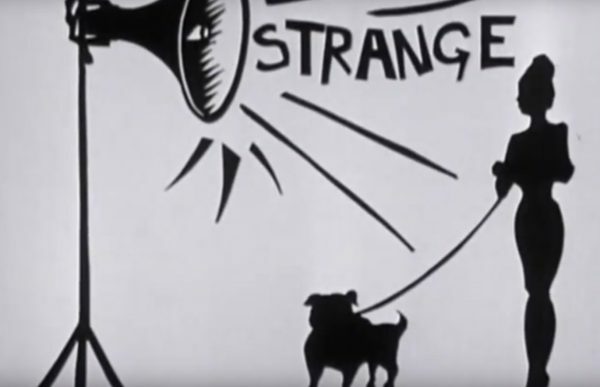 ‘New Life’ was Depeche Mode’s second single, marking the first kindling sparks of a love affair with the general public which has now lasted for three and a half decades and counting. The single peaked at number 11 and saw an extremely fresh faced band appearing on Top Of The Pops three times in relatively quick succession, where they were still referred to as “Day-peshay Mode” by bemused presenters. 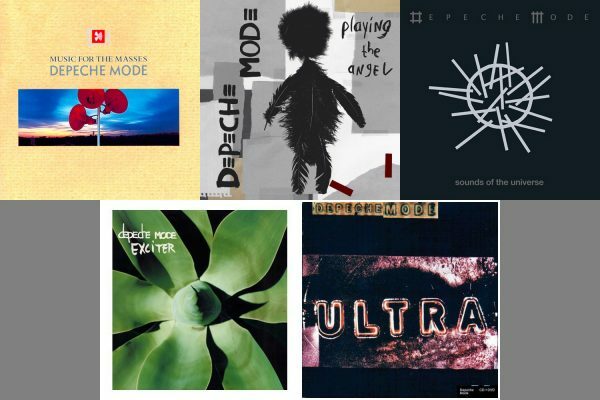 But there was one more single left to release for Depeche Mode V.1 – ‘Just Can’t Get Enough’ hit the shops on September 7 and it charted at number 8. 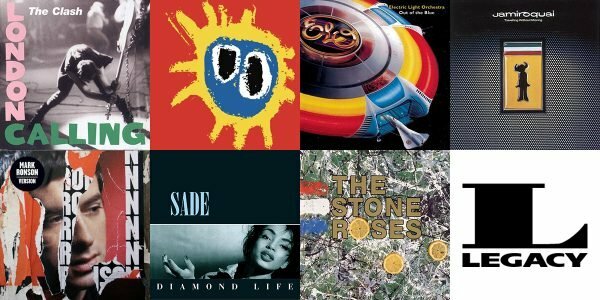 A berserkly bright and breezy all-time pop anthem, it cemented the band in the minds and hearts of the wider record buying public and suddenly created the idea that maybe they weren’t just a flash in the pan. If 1981 was the year of Depeche Mode drawing first blood when it came to singles, then their last 7” release of the year came on a suitably red coloured flexi disc. ‘Sometimes I Wish I Was Dead’ came free on the cover of Flexipop magazine which hit the shelves on September 11. The song was obviously not your average teenybopper statement and stood as a naive road map pointing to some of the darker, more adult themes that were going to occupy the group over the several decades to come. Without the benefit of hindsight, the departure of Vince Clarke from Depeche Mode in November 1981 must have felt like an untimely disaster. Looking back, Mute boss Daniel Miller said that far from causing the band to consider packing it in however, the line-up crisis actually galvanised them and gave them the impetus to “move on”. 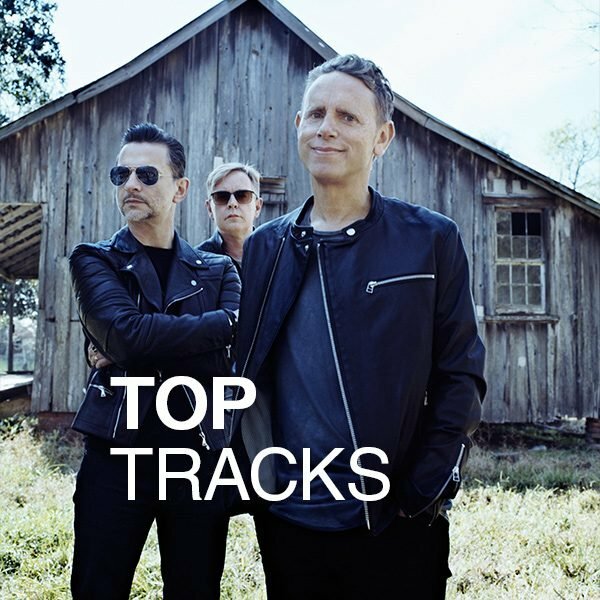 Martin Gore was challenged with writing ten tracks, but this wasn’t the terrifying ordeal it may have seemed at first – he had been quietly penning songs since he was 14. But the young synth wizard’s need to assert himself in his new role initially led the band into interesting waters. 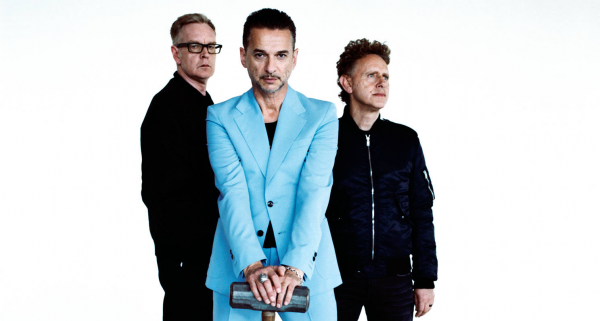 ‘See You’ is arguably the zenith of Depeche Mode as pop-tastic Smash Hits pin-up fodder and is just as poppy as any of the singles from ‘Speak And Spell’ – if not more so. The single reached number 6 in the UK charts and the top 10 in Ireland. The 12” mix, executed by the band themselves, is essentially an extended take of the version that would end up on the album. 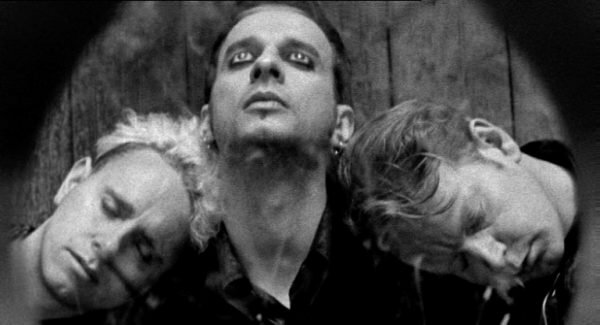 Depeche Mode released their second sugary sweet pop song of the year on April 26 in the form of ‘The Meaning Of Love’. The single went in the charts at number 12 in the UK and while ‘The Meaning Of Love’ worked well as a radio friendly pop song, it was becoming clear that Depeche Mode were holding something back. It was in the sombre grandeur of ‘Leave In Silence’ that the three piece really delivered on the hints of gloom that were threaded through several earlier tracks. The arresting production, use of ear-grabbing vocal harmonies and dynamic use of sharply contrasting sound as well as gothic gloom made this a far more sophisticated statement than any single they’d previously released. Somehow, ‘Leave In Silence’ fared worse in the charts than either of the two previous singles only reaching 18 but in every other way it was a success. Talking about the importance of this single to the band Miller says: “It was the start of their so-called dark phase… something that’s lasted until today!” It was, as Martin Gore himself agreed, a very important “turning point”.